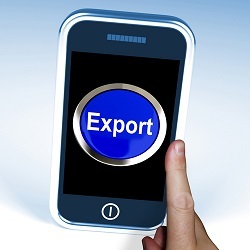 For any business, starting out in international trade can be a daunting prospect. Choosing and getting a foothold in a foreign market can sometimes seem like a minefield of stumbling blocks, pitfalls and risks. We’ve scoured the net to bring you the best advice and resources to ensure that you invest intelligently in international trade. Run by international consultancy firm ‘Global Marketing Strategies’, Globalnegotiator aims to help companies carry out international business transactions with ease. Providing international contract templates, trade and transport documents as well as business culture and etiquette guides, Globalnegotiator is a goldmine of information and documents to help your trade deals go without a hitch. FITA is a treasure-trove of information for any business looking to invest in international trade. Not counting the website’s hundreds of documents and thousands of links, FITA provides you with event information, networking opportunities and export trade leads. With FITA you’re in the hands of global experts; access their knowledge and learn tricks of the trade to help your business expand its global reach. The financial crisis hit international trade hard. With new recession measures making huge changes to international trade on a near weekly basis, today companies must keep up-to-date with information concerning these developments. This is where Global Trade Alert comes in. With real-time information on new international trade measures as well as indications of the areas affected, Global Trade Alert ensures that you stay one step ahead. No trade investment is without risk. Coface aims to help you negotiate those risks effectively and with caution. Managed by French export insurer COFACE, this website provides vital information on country risk and the business climate of each country. Offering 7 classifications of risk from very low to high (A1, A2, A3, A4, B, C and D), Coface discourages risky investment operations as well as making suggestions for precautions to cover potential hazards. So, if you’re thinking of investing in a new foreign market Coface is your first port of call! The UKTI website provides country and business guides as well as information concerning import and export within the UK. Most importantly however, the website provides information on the UKTI’s ‘Business is Great (Britain)’ programme. This is an initiative which gives free advice from business experts for British companies looking to invest abroad. With companies earning £100k on average in additional sales after working with UKTI, a wealth of expertise and opportunity is just a click away.